Why do some students feel concern when faced with a timed test? Not prepared? Fear? Or just clock anxiety? When your lecturer says: “You have one hour to complete this test!” Does that statement cause you stress? You can learn to cope with test anxiety for school and for all the other test you will encounter in your life. Follow the seven study tips shown below. First, make sure you prepare. Study should begin weeks before the exam, rather than the night before the exam. Next, set up a routine. Find a nice place to study. Make sure you follow a schedule. Select a start and stop time. Focus on the task. When time is up, you can stop. Five – drill yourself with practice questions and answers. Make lists or flash cards with questions and answers. Have someone ask you the questions and have them check your answers. Repetition is a key to learning. Six – study with other people. Learn what they know and help them learn what you know. Finally – relax when you take the test. Make sure you don’t engage in pre-test stress events. The day before the test, eat well and hydrate. I know you might be tempted to study all night, but Hey, it’s only a test. Get some sleep! Hi, I have read your study tips and they are so impressive that i have decided to follow them and share these tips in my friend circle so that they pass this term exams with good marks. During Exams, many students take stress which makes them feel anxious and depressed. I think students should not take the stress because it makes them feel that they don’t remember anything of the particular subject. One more thing students should kept in their mind that Last-minute studying will never help you. I am also a teacher and always used to advise my students not to study at last-minute before entering into the exam hall. I have read your tips that can help students to ace in their exams if they follow them nicely. I always used to share such kinds of tips with my students. 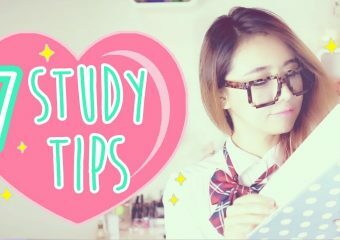 I really liked your post.This is informative.Great tips about study. Thanks for sharing this valuable post.